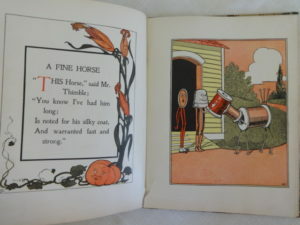 Here is another book with a similar style to that of Wizard of Oz book illustrator W W Denslow. 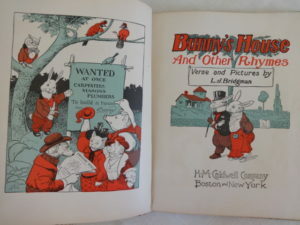 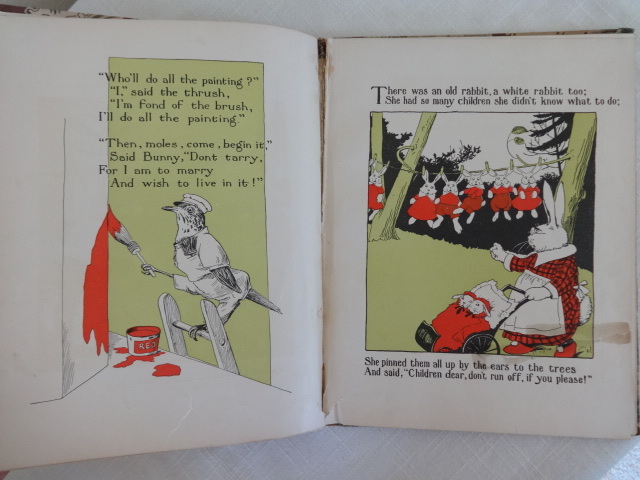 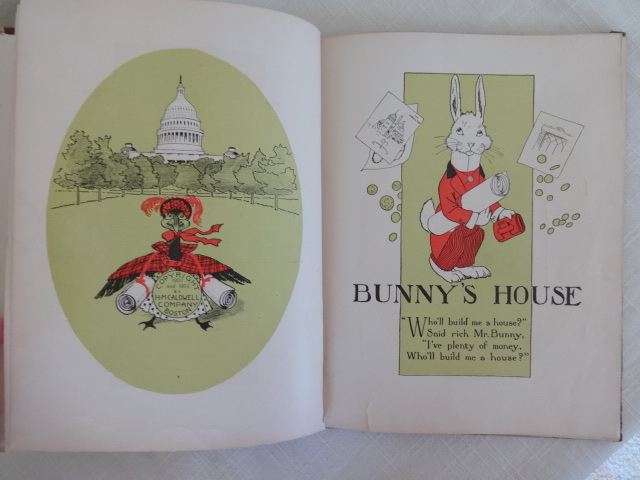 “Bunny’s House and Other Rhymes” was published by H M Caldwell (copyright 1900 and 1904). 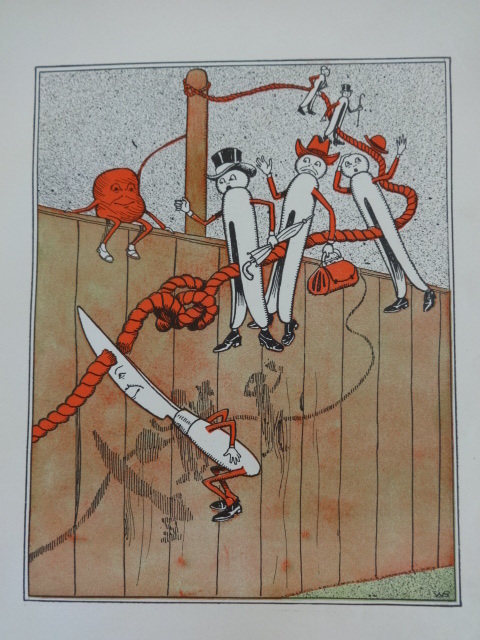 This oversized (8 1/4 x 10 3/4”) book has many wonderful rhymes and funky illustrations by L J Bridgman. 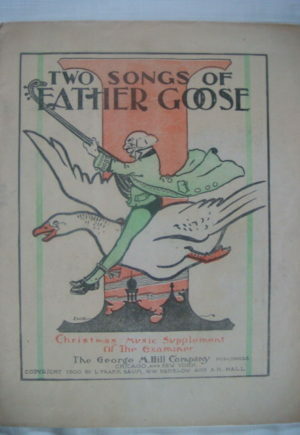 The layout and style of the book is very similar to Baum and Denslow’s “Father Goose His Book”, which was published in the previous year. 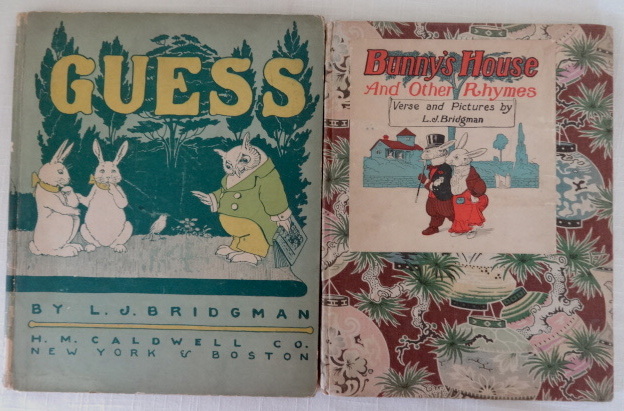 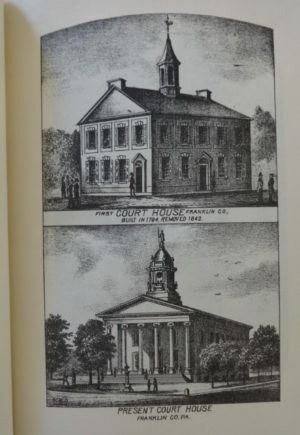 I’m also listing “Guess”, another Densloweque book by Bridgman that was published around the same time (last photo). 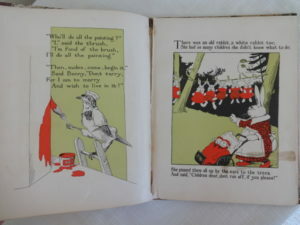 In fair condition. 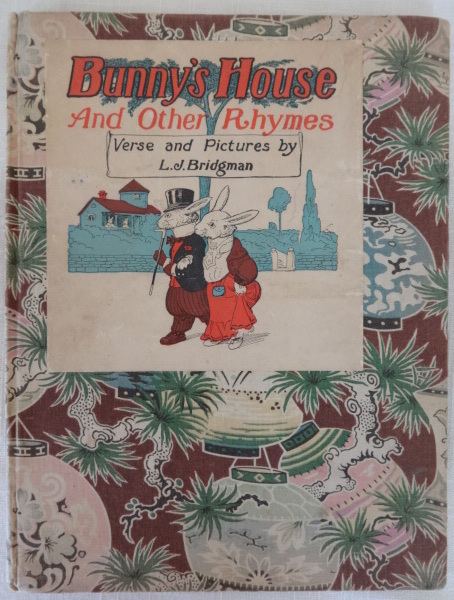 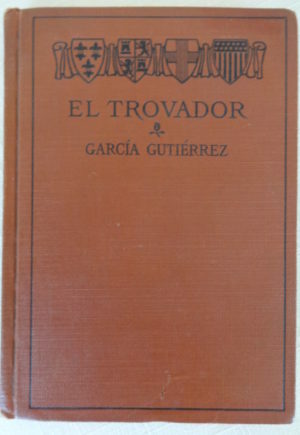 The front and rear cover are covered with unusual patterned cloth and are in pretty nice condition, as is the pastedown title label, just light soiling. Interior, however, is rough, with front hinge cracked, middle gatherings partly detached, with a prior owner’s name and address label w/ 1905 inscription, front free endpaper reglued, text pages with considerable tearing and one page taped. Still a rare title, in a charming format and of interest to the Denslow collector.